Do you need Home Business or Auto Glass Repair? Different types of jobs require different specialties. Lets break glass repair down into 5 main categories. When you just have 1 or a couple of broken windows or glass doors in most cases you won’t need to replace the frames and other pieces. When you need to get just the glass replaced because it was broken or got foggy due to seal failure and you need to repair before you can sell your house then you can call local glass companies near you that do that type of work. In most cases if you have some basic details about your job like the approximate size of the glass needing to be replaced and some other basic details you can usually get a quick quote right over the phone. We’re dedicated to managing the repair, replacement and installation of all types of windows and doors, including single pane and low e double pane windows and doors. Not to mention French and Arcadia door or sliding glass patio doors. If you own a store or have a business, we also have a commercial team specializing in custom window and door repair and installation for storefronts and office glass. For emergency glass repair, for broken window or door glass, we’re available on very short notice. For example if you are in the Middle Tennessee area you can call Zen Windows of Nashville But even if you just have foggy glass panels at home or at your business, give us a call because we’re in your neighborhood all over the united states. No task is too small for our technicians. We have a lot of single and dual pane window and door replacement and repair knowledge and skill to amend every problem you may have about your windows, doors or patio doors. Relax, because it really doesn’t matter what your window or door repair or replacement requirements may be, we’re committed to serving you at your convenience. Available during regular hours, but weekends too. The best part is, that we’re local to you. We can proudly say we provide the most trusted window, door and patio door glass replacement, installation and repair experts for your home or business near you. For more information about our services, give us a call. We’re here to serve you at your convenience. The qualifications supporting our skilled staff is second to none. It took hundreds of hours of training and practical experience to achieve the results they do. Every day. All window and door installations are custom jobs and it takes years to learn. The best part is that our pros are located close to you in your area. We also believe that you need a seasoned expert to help with the installation, repair, and replacement of glass, doors or custom windows at your store or at your home. And so when you need assistance with glass, you should know. 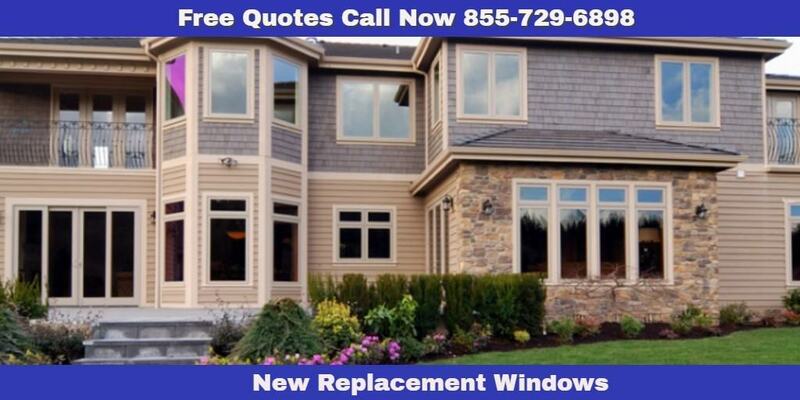 We take our customer’s window, door and patio door replacement requirements very seriously, so call us. We’re just a call away. Our specialists are top talent when it comes to handling problems caused by foggy windows, broken window panes or condensation buildup at home or at your business or store. Our highly skilled window, patio door and front door professionals only follow standards and practices that are manufacturer approved. Maybe you may only need a quick fix, we’d love to help out. It’s what we do. It’s extremely important to what you wish to achieve, that you find a skilled and trusted window and door glass service expert who is familiar with the type of door and window replacement, repair or installation you need for your home, storefront or office. Whether you’re just going to need an emergency repair of a broken window pane, or a new low e window or patio door, you should only employ window and door repair and installation professional whom you trust. Perhaps you don’t appreciate the implications of taking on a qualified and capable crew until later, when the damage has already been done. Our window and door glass installation and repair staff are the most experienced professionals in the industry, so pick up the phone and give us a ring. Every so often, store and home owners having to deal with mirror, door, window or glass issues need specific types of specialized services to help them out with their situation. Some of the services include specialized things like various finish types, coatings for both the glass and frames. From a wide selection of wood, UPVC and vinyl materials, as well as choices of single pane and dual pane with low e Glass Star ratings. Our expertise is among the best in the industry, so we can offer anything that’s window or door related, like fixing rotten window sills or door jambs, re-adjusting sticky doors and windows, repairing broken seals or glass. We’re available for emergencies too! And so much more. So learn more and learn more details about our range of specialized window and door repair, replacement and installation services in your home. One of the principal but specialty door and window installation and repair categories you’ll see, is for replacing your existing doors and windows with higher efficiency rated units – all within your budget. Another form of door and window repair and installation service you’ll see, is for business and commercial applications. A third variety of specialty door and window installation and repair service you’ll see, is work on custom projects where the materials, energy efficiency ratings and styles have been determined by an architect. One more variety of specialty door and window installation and repair service you’ll see, is for bathroom glass shower door and mirror installation and repair. Automotive glass and mirror work is a subset of the glass service industry as well. A qualified mirror and glass replacement and repair service follows a consistent method. Be upfront and ask them how many similar jobs they have done. Ask them what sort of guarantee they offer. Ask about their customer service policy as well. Inquire about building codes. You don’t want to have shoddy work done. Inquire if they’ve had to confront challenging conditions. If yes, in what way did they deal with the issue? Inquire how they accept payment. It’s also very important to know if they’re insured, so make sure to ask about that. Above all, it should be kept in mind that you should feel comfortable and happy with company you’re considering hiring. The first thing you have to do is to determine if they’re in or close to your neighborhood. Local businesses are more trusted. It’s expensive to send people out for estimates and work, so if they’re not in your direct service area, they may charge you premium. The second thing you might have to do is find out if they respond to your inquiries in a timely fashion. Being made to wait is not acceptable. A third thing you might want to do is make sure they offer the service you’re seeking. And most of all, it’s very important that they have what it takes to get the job done. If not, don’t hire them. Most window installation and repair requirements are simple for a pro, but you still need that high level of skill to do it right. If your car has a broken window or cracked windshield, Fast Glass Quote is just the right business to take on your glass repair service. Holding our own selves to high requirements, our accredited technicians strive to make sure each customer is absolutely satisfied with their repairs. Each of our auto glass products meets OEM standards to guarantee you receive the most effective quality. Talk to your provider to verify any details of the products used. Authorized by most insurance companies, you can easily request an insurance quote, and schedule an appointment to acquire your auto glass repaired in little time. Most companies can come out to you and have as minimal an impact on your time as possible. If you don’t want to call the number above and you would prefer to get quotes by email then go ahead and fill out our Windshield Quote by Email form. Fast Glass has actually long-served the entire United States, offering economical prices on auto glass replacement and repairs. Run by a group of highly qualified professionals we strive to connect you with the best windshield repair possible at the most affordable prices. With many years of practical experience in the auto glass sector, our site offers top-of-the-line service referrals and performs each task with a level of professionalism reliability that separates us from the competition. Our combination of expertise and affordable pricing has earned us a fan base of loyal clients who are confident in our abilities and constantly leave delighted car and truck owners. Authorized by most huge insurance companies, we can take on all of your insurance claims and have your auto glass dealt with in little bit of time. We accept almost all glass coverage choices and team up with each service provider to make sure you receive the best price possible, minimizing out-of-pocket bills. We also provide inexpensive rates to consumers in the absence of auto insurance coverage, who prefer to pay up front. Effortlessly obtain a cash money or insurance policy quote simply by filling in just one of our online prices list forms with your standard information and repair work needs. The fastest way is to call the number above. We’ll immediately respond to you with a quote, so you can set up an appointment along with any of our staff members. Fast Glass Pros work one on one with each customer making sure all repairs are addressed professionally and competently. Dial us today! When ever side and rear windows are installed from well-trained contractors from Fast Glass Pros, we ensure our auto glass replacements comply with all safety guidelines. Our skilled and certified professionals can restore body and rear glass on any make and model of your vehicle, no matter the age, make or model of your auto glass needs. What types of glass can be repaired or replaced? The back and rear glass of your car is tempered glass, although the glass in windshields are generally laminated. Laminated safety glass is held together when smashed, thanks to an inter layer of special material that holds the broken and shattered glass in place. This is not the case for tempered glass. Tempered glass is a safety glass that is enhanced with chemical or thermal treatments solutions, providing that broken pieces split up in loose cube-like bits, and not jagged bits. The reason you want tempered glass on the door and back windows is if you need to escape your vehicle in an emergency you can break the glass easily and escape and for home windows you use tempered glass in doors and areas where safety is an issue. When tempered glass breaks it falls into many tiny pieces and they are not as sharp or jagged as regular annealed glass when it breaks. Laminated Glass Common in storefronts and used in place of tempered glass for a lot of reasons is hard to break through. You can break the glass the layers of laminate hold them together. At Fast Glass, our teams comply with the U.S. Motor Vehicles Safety Standards. The executives setting up these kinds of specifications regularly perform safety and security exams. Plus, each of the car glass repair services are reinforced by nonbreakable Speedy Glass guarantee. Are you all set to set a scheduled appointment? If you desire to have your car or truck windows switched out or improved, we are able to assist! Our convenient mobile service allows us to come to you and provide service on-site. Give us a ring and make a consultation right now! If you are thinking about using your insurance policies plan to pay for the professional service, we’ll assistance with the agreements.